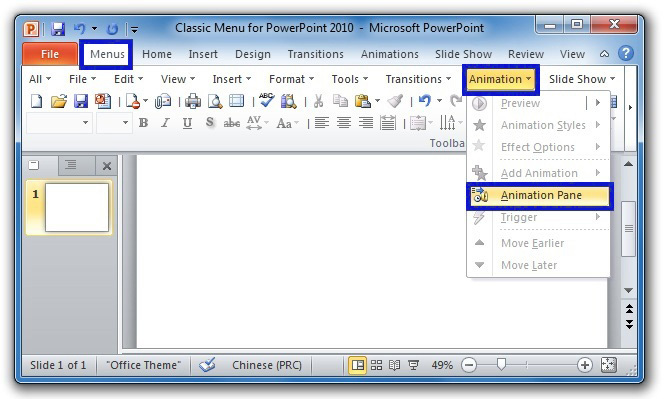 Where is Custom Animation in PowerPoint 2007? After clicking the Animation Pane item, the Animation Pane (is Custom Animation task Pane) will come out at the right side. 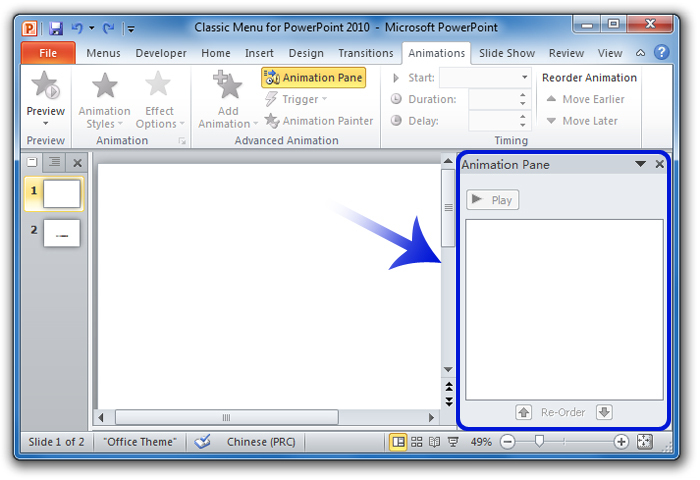 Custom Animation is also renamed Animation Pane in Ribbon. 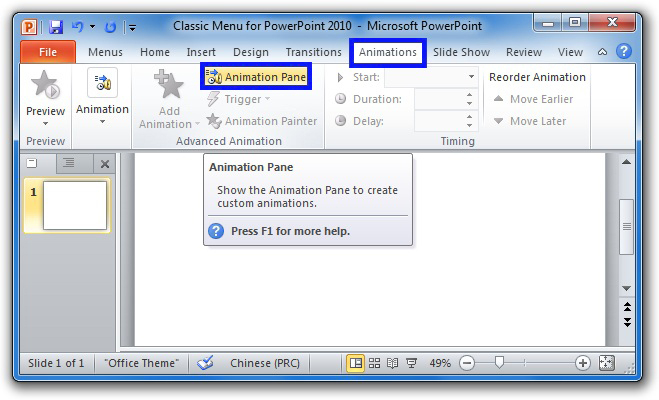 The Animation Pane (is Custom Animation task Pane) comes out just as figure 2 shows.